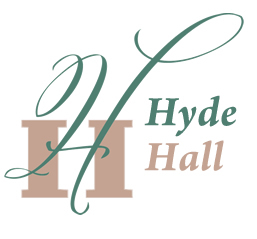 Hyde Hall strives to accommodate visitors with handicaps to the best of our abilities. There is a handicap/wheelchair access ramp to the Ground Floor of the Mansion and a special Ground Floor Tour is provided. Service animals are welcome on site. There are parts of our Mansion Tours that require climbing stairs and passing through narrow spaces. For those who may have difficulty, we will provide a Ground Floor Tour. If you have a special need, we can evaluate how we can best accommodate for your request. Please contact us at 607-547-5098 to discuss special requirements.